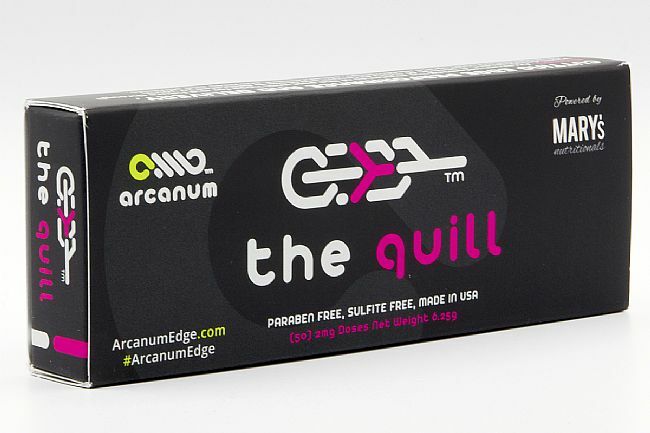 The Arcanum Quill provides targeted delivery system of transdermal CBD. 6.25g container, 100mg CBD, 2mg dose per application. 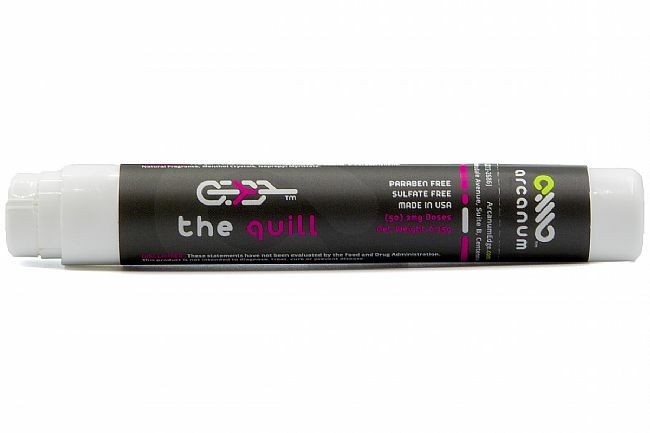 THC free: Tested multiple times before leaving our facility and by a third party, certified lab. Open pen, twist clockwise to unlock. Press down fully to administer. Please be sure that skin is clean before application to a veinous, nonfatty area of the body (inner wrist, top of foot or back of knee). Rub product in; store at room temperature. INGREDIENTS: Microsome (Purified Water, Olive Oil, Aloe Leaf Juice, Lysolecithin, Sunflower Oil, Safflower Oil, Perilla Ocymoides Seed Extract, Isopropyl Palmitate, Ascorbyl Palmitate, Sodium Hydroxymethylclycinate, Etearly Alcohol, Cetearyl Glucoside, Cetyl Alcohol, Grape Seed Oil, Wheat Germ Clycerides, Xanthum Gum, Vitamin A, Vitamin E, Phenoxyethanol), Elite Hemp Extract(100mg Cannabidiol Complex), Limonene, B-Pinene, B-Caryophyllene, Natural Fragrance, Menthol Crystals, Isopropyl Myristate.